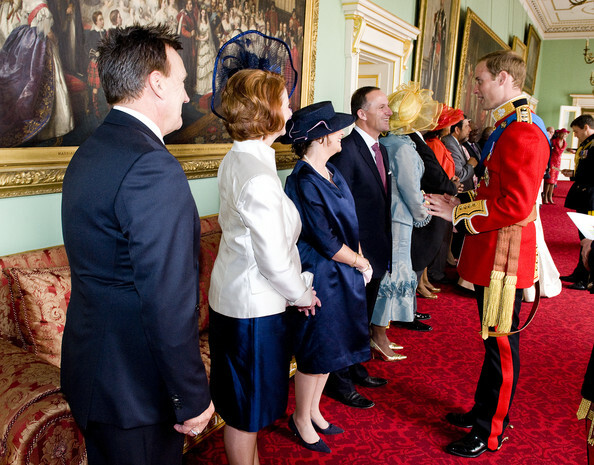 “John Key will wear a bespoke New Zealand-made suit at the royal wedding woven from merino and washed with pounamu (greenstone). The Prime Minister had his final fitting for the two-piece dark navy suit at RJB Design in High St yesterday morning. 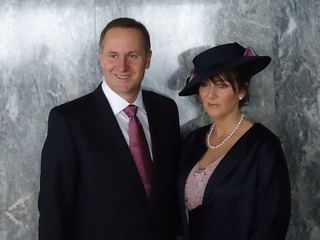 Mr Key said the suit was a great example of New Zealand technology and admitted “it’s looking very good”. The suit is made with merino wool fabric by Dormeuil, with greenstone “washed into the weave”. “You can’t see it [the greenstone]. It looks like a normal fabric. It’s their top of the range fabric produced out of New Zealand,” Mr Key said. RJB Design had been making suits for him since before he was elected. The store’s owner, Ronald Biddick, said he was very proud that he could count the Prime Minister among his list of clients. 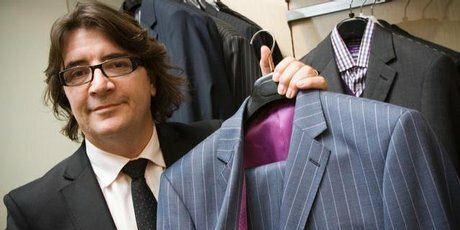 Mr Biddick was coy about the details of the suit and said he could not reveal what colour tie Mr Key would wear or how much it cost – all he could say was that it was between $2500 and $6000. The suit was made from Super 160 fabric which means it has a very high thread count so was very light. He said Mr Key came to him about two months ago to discuss what he should wear and together they came up with the design.